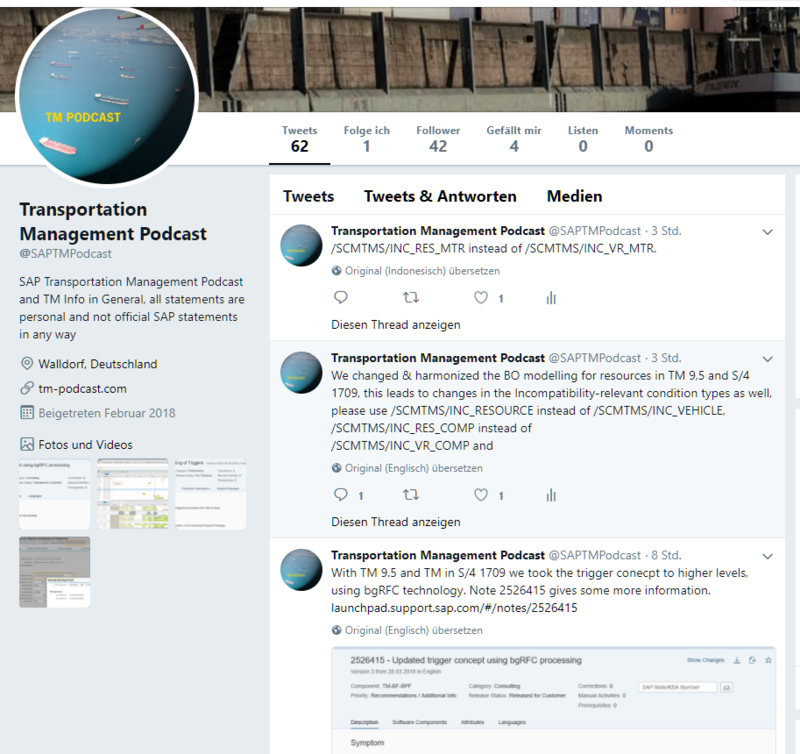 The TM Podcast has a twitter account, @SAPTMPodcast. The account will be used to distribute little pieces of information around TM, the podcast itself and related stuff. This entry was posted in Uncategorized on 28. March 2018 by hdbernd.